Keep all your files in the right place. Collaboration isn't just about getting people to work together, it's also about connecting them with the resources they need to get work done. 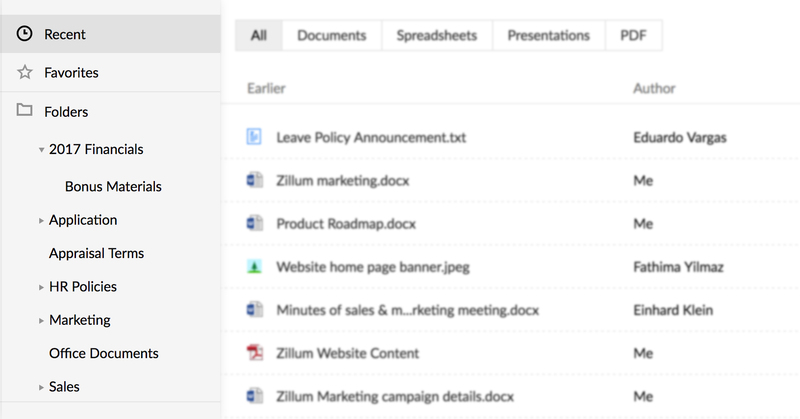 The files your team needs can all be placed within a Zoho Connect group, so all of you can access it, any time you like. Use our powerful editors to quickly create documents, spreadsheets, and presentations. Be it a project report, an analysis of your latest campaign, or a sales presentation, your entire team can pitch in with the content, and can help review it--all in real time. 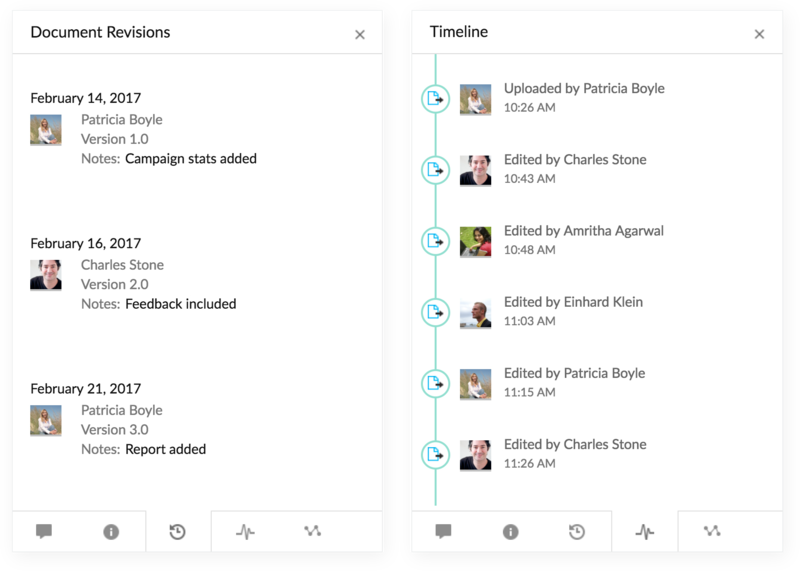 When creating a document becomes a collaborative process, it goes through multiple edits, and versions before it is finalized. Know who edited what and when by going through the version history and the timeline of changes made to your files, and never miss an important detail. Contain the chaos by organizing all your files into folders and sub-folders. Mark the most important ones as Favorites, so you and your team can access any file you need as quickly as possible, even when on the move. In sync with your cloud. 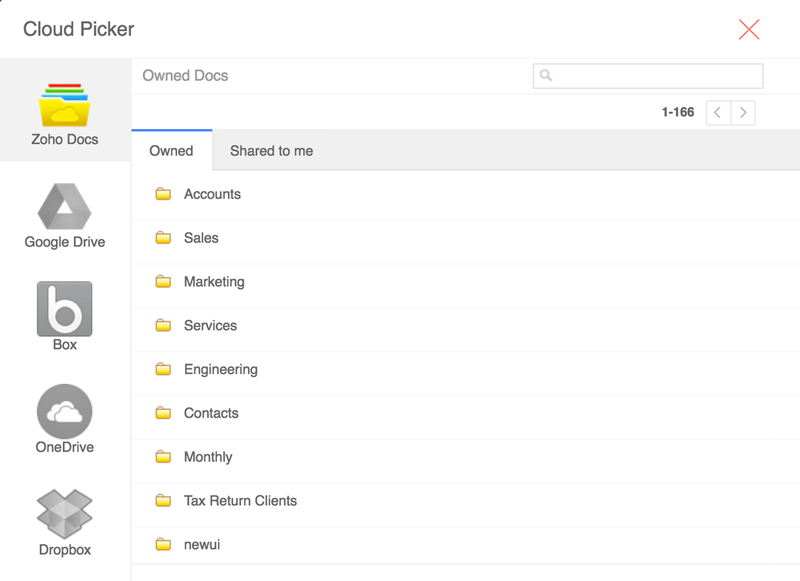 Upload files from Zoho Docs, Google Drive, Box, OneDrive, and Dropbox to your Zoho Connect group, and your team will no longer have to switch between applications to access their files.